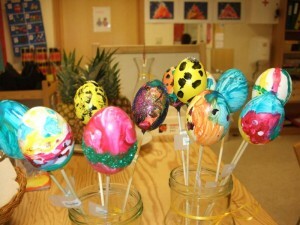 For most of Norway´s population, Easter is an important holiday. Although it´s originally a religious holiday, in Norway it´s more associated with family-time and friends, mountain trips, cross-country skiing, downhill skiing, crime series on TV, barbeque in the snow (with an engangsgrill/portable grill) and enjoying the sun…if there is any, which normally there is. But of course the youngest are not forgotten either; it’s common, especially in kindergartens, to decorate eggs with colorful paintings and to do the “Easter egg hunt”. Some typical place for families and friends to go during this holiday are Beitostølen, Trysil, Sjusjøen and Geilo. Here you have great possibilities to do both cross-country skiing and downhill skiing/snowboarding. And of course have a cold drink in the “solveggen” (normally the terrace of a restaurant/bar/your cabin). 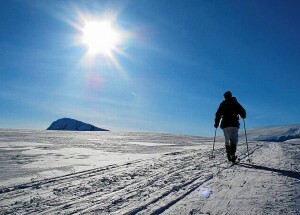 Cross-country skiing is a popular activity during Easter. Another tradition in Norway is the “Easter crime”, or “påskekrim”. 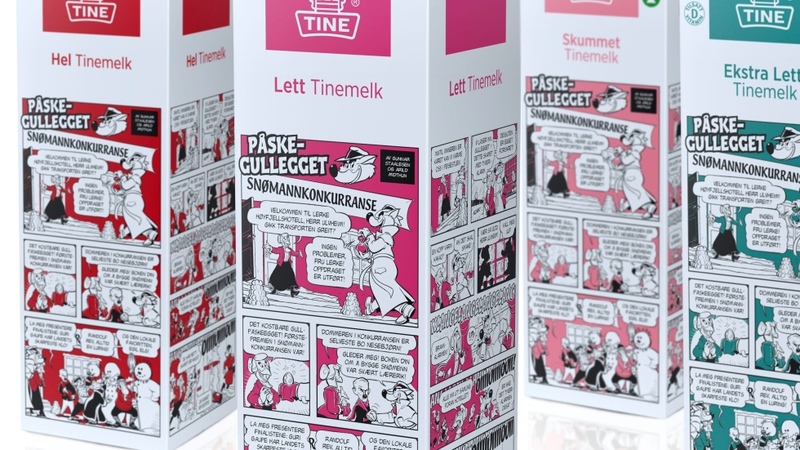 Almost all the TV channels produce crime series, some radio stations tell crime stories, and even the milk companies print short, family friendly crime cartoons on their milk cartons. In other words, there is no Easter in Norway without the crime mysteries! 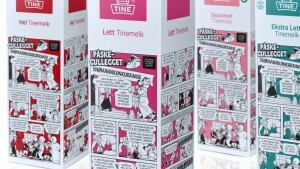 Crime cartoons on the Norwegian milk cartons. Frisk Bris wishes you all a happy Easter! Frisk Bris os desea una buena semana santa a todos!